What makes a book, a story, a television series, a movie, a work of art so compelling for me is its ability to provoke me to feel, deeply. It’s usually a masterpiece–creatively excellent beyond measure–which I appreciate so much. And it’s usually telling a story rich with characters and relationships I identify with or connect with on an emotional level. I know that in most cases, the movies or the stories aren’t real (or are they?) but I nevertheless cry my eyes out (in a joyous way) as I dive in to the story as if I were right in it. The captivating story is explaining concepts about time, simultaneous lifetimes, dreams, sound, energy, reincarnation, the soul, the starseed, and how we create our own reality in a way that reaches out, provokes and permeates me. I understand certain concepts better now, not that I do 100%, but I feel much more grounded in my understanding of these. It has me feeling joyous and glad to be in a body with an Oversoul of which I am a part and with whom we are one and the same. My understanding of Oversoul (some call it Overself or Overlord), is that the soul housed within our bodies is only a portion of our entire soul. The greater part of our soul, the Oversoul, is in the etheric non-physical realm and it, too, is infinite, of course. If you read the book you’ll see how magnanimous, powerful, capable, creative and valiant your Oversoul is. I realize that much of what I receive in meditation or spontaneous wisdom or thought that seems to come from that ‘other’ place during the day or in my dreams is coming from my Oversoul. And when we begin to understand the Oversoul, we are able to see a bit more clearly how magnificent this creation we live in actually is and that we are so not alone left to fend for ourselves here on Earth. Not that the Oversoul interferes or makes everything right for us, it doesn’t, but it assists by oftentimes lighting the way for us, if not occasionally getting more involved as we deal with certain challenges in life a bit more directly. Yes, we are loved beyond measure by God the Infinite, the Prime Creator of all things, and it’s also incredibly wonderful, even liberating, to know and to feel that we are loved so completely by our very own Oversoul. 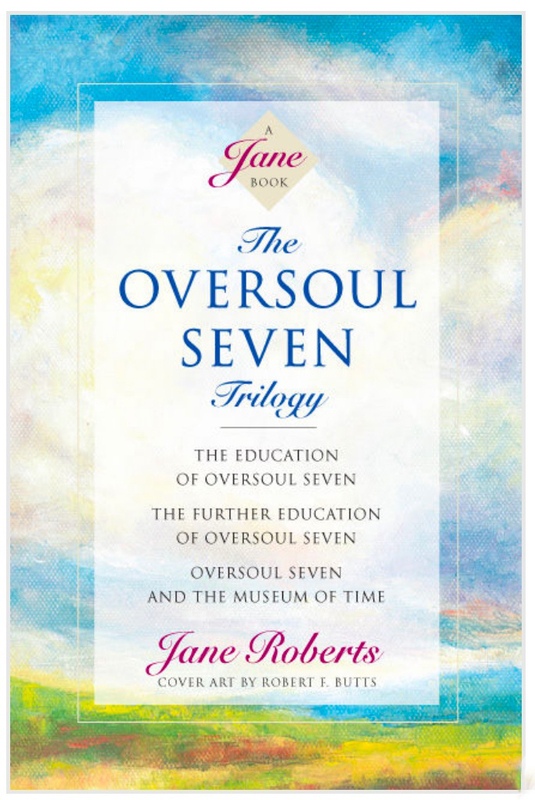 The Education of Oversoul Seven can now be purchased as part of a trilogy of Roberts’ books also including The Further Education of Oversoul Seven and Oversoul Seven and the Museum of Time. Read at least the first book (but it will compel you to read the other two!) and you will be in love with your own Oversoul, your simultaneous aspects of self and the self you intimately know sitting right here and now as you read this. Not only will your love of self expand, your knowing of self and your unlimited capabilities will, too.